This innovative environmental finance conference is advancing investment in the natural environment on the basis of its economic value. The last event took place successfully on 28th February 2019 with the participation of over 210 delegates. A restored natural environment can play a big part in resilience against flooding, water shortage and summer heat episodes. It is central to climate change adaptation. This annual event demonstrates that green finance – and green growth – offers unprecedented opportunities for financial institutions to invest in UK natural features such as woodland, peatland and wetland. Financial services experts, public policy advisors, land owners and managers, environmental experts and business leaders will find the conference invaluable in positioning their organisation at the centre of ambitions to restore the natural environment that underpins wellbeing and prosperity. Come to discover investment opportunities. Come to be part of a new pipeline of investable projects. The most recent Natural Capital Investment Conference was held in February 2019. It drew together delegates from a variety of sectors and disciplines in productive and practical discussions of building the UK's Natural Capital Investment market. The event was addressed by keynotes from Jennifer Pryce (Calvert Impact Capital) and Rowan Douglas CBE (Willis Towers Watson). 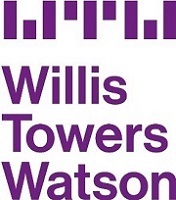 We were delighted that WWF UK and Willis Towers Watson were our 2019 Conference Partners. The first Natural Capital Investment Conference in 2018 attracted professionals from environmental finance and conservation in the UK. It was opened by Rt Hon Lord Deben and was addressed by luminaries such as Tushita Ranchan (green infrastructure investor), Bevis Watts (Triodos Bank UK), Shirley Trundle OBE (Defra) and Tony Juniper OBE (WWF). Media partner was ENDS Report. "very well put together, interesting, inspiring and thought provoking." "good to see how natural capital investment is progressing, both from an investor's point of view and those working on the ground."